Located within the Cabinet Office Grounds, a new war memorial has been set up. This is to commemorate memories and recognize sacrifices of those who served Bermuda during the World War I and World War II. The war memorial was opened in December 2010 and has names of nearly 3000 war veterans. In the Cabinet Grounds, there is also The Cenotaph, a monument that honors the dead warriors of Bermuda. Although there are other war memorials in Bermuda like BVRC Memorial in Victoria Park for white war veterans and a BMA Memorial in St. George's for black war veterans, Bermuda government believes that the new one has the most comprehensive list of names irrespective of color and race. As you can see in the picture, the war memorial has a large stone ball placed on a granite base. The ball looks like a globe with world map on it. Behind the stone ball, there are seven polished black stone slabs arranged in a semi circular manner on which the names of the veterans are inscribed. For those who died and sacrificed their lives during the war, there is a small diamond emblem on a golden leaf next to their names. The war memorial has been designed and constructed in England by David West. Government of Bermuda believes that there were proportionately more Bermudians (by percentage of country's population) who actively participated in World War-I, compared to any other countries in the world. Bermudians fought many great battles including Battle of the Somme in France, which lasted for 6 months and left almost 1 million people dead. 105 Front Street, Hamilton City, Bermuda. 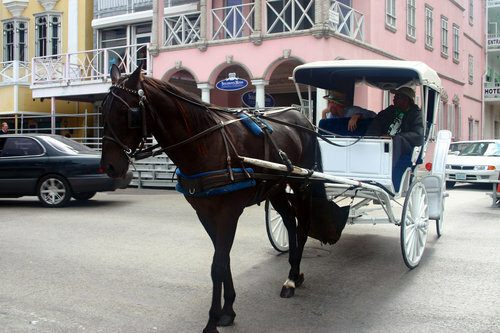 1) Check out Hamilton Bermuda for attractions, activities and other information about Hamilton city. 2) Check out Pembroke Parish know about the parish where Hamilton City is located and also about all its attractions, activities, restaurants, hotels and more.